Six-String Soldiers, a four-member acoustic group performing American, folk, bluegrass and Irish music in an informal setting. 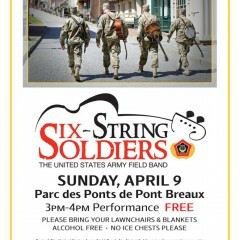 They will perform on Sunday, April 9, at 3 PM in Parc Des Ponts de Pont Breaux. The one hour performance is free to the public. Bring your lawn chairs and blankets. No ice chests and the event is alcohol free. Sunday, March 19, 2017 from 10:30 am to 1:00 pm. Pick up at the Breaux Bridge Farm Bureau Office at 1106 Grand Point Avenue, Breaux Bridge, LA . $16.00 Donation. 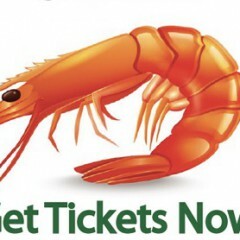 1 Pound Headless Shrimp, potatoes, corn and cup of dip. Proceeds will be used to fund parish agricultural youth activities. For more information or ticket sales contact Pam Melancon at 337-277-2158.